Hyperbaric Oxygen Therapy (HBOT): Buddy's Peritonitis | Dawg Business: It's Your Dog's Health! My regular readers know that I am a big proponent of alternative therapies, old and new. I am fascinated by what regenerative therapy can do; we used it more than once and couldn't say enough good things about it. Hyperbaric oxygen therapy is one of the treatments that are on my radar. This story is based on a case study submitted to HVM. This is not a sponsored post. Peritonitis is an inflammation of the abdominal cavity lining. It is usually quite a painful condition. It can be caused by injury, bacterial or chemical contamination, pancreatitis, ruptured bladder or gallbladder, and the like. Logically, peritonitis can come with fever, vomiting, abdominal pain, and it can lead to changes in heart rhythm, blood pressure, and shock. Not a light matter at all. Buddy is a 5-year-old neutered male who was having some bad luck lately. He came to a veterinarian with vomiting and abdominal pain. Buddy had belly problems before when he swallowed things he shouldn't have. He ended up having to have a surgery where some of his intestines had to be removed and the ends reconnected, anastomosis. Peritonitis is one of the potential complications of anastomosis. X-rays revealed that Buddy's intestines were indeed quite unhappy with extensive adhesions from previous surgeries and a portion of the bowel suffering from lack of oxygen supply--ischemia. It would require another surgery and the removal of several feet of Buddy's intestine. Buddy's parents could not afford yet another surgery and, naturally, they were concerned about further complications. Were there any other options? His therapy was to include IV antibiotics and hyperbaric oxygen therapy. The hopes that this combo would work in healing Buddy's belly while avoiding surgery were guarded. However, after the antibiotics and a series of hyperbaric oxygen treatments, Buddy eventually made a full recovery. I don't know what decision I would have made if Buddy were my dog but the lack of funds really left his parents with just one option. It did work out for Buddy, though. 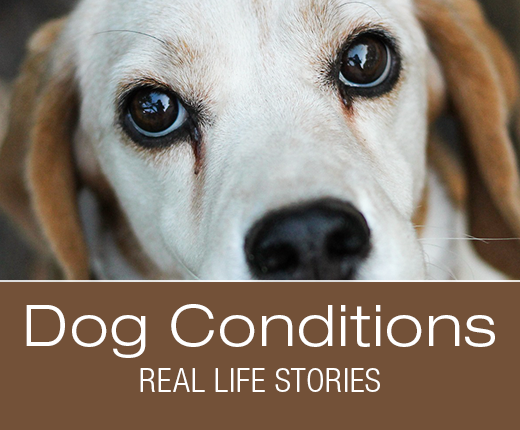 What is your dog telling you about their health?